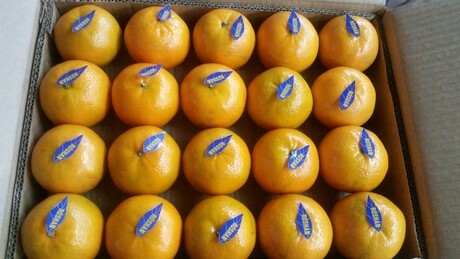 Exports of kinnow began to flow out of Pakistan at the beginning of this month. 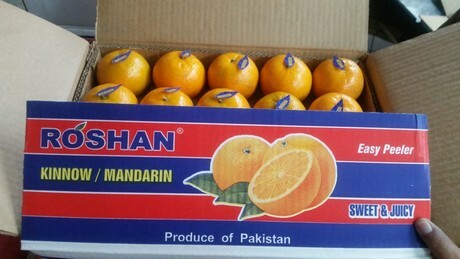 Roshan Enterprises, one of the leading growers and shippers of kinnow in Pakistan, is expected to ship about 10,000 metric tons of the fruit this season. “We started harvesting kinnow on November 25, and shortly after we began packing and loading containers at sea ports,” said Khalid Eijaz, CEO for Roshan Enterprises. “We will do our best to serve our customers of Europe, the Far East and Middle East.” The full list of export destinations includes Indonesia, Malaysia, Russia, the U.A.E., Saudi Arabia, Bangladesh, Canada and countries throughout Europe. Khalid Eijaz expects to export 10,000 metric tons this year, but both increased demand, due to the Russian ban on European fruit, and improved production techniques could lead to more exports – both this season and in future years. Pakistani shippers can find an edge in different markets throughout Europe because of bans and quarantines on certain kinds of fruit. The improvements in research in development are also constantly in implementation at Roshan. “We hope to double our production next season with the help of our research and development department,” said Khalid. “New techniques and technologies will help us capture new markets, and traceability techniques will help us fulfil the requirements of receiving countries.” Only a few Pakistani exporters were allowed into Russia last year, but with the ban on European fruit, Khalid thinks Roshan, and other Pakistani exporters, will be allowed to send their fruit there. Roshan also exports a variety of other products besides kinnow, including mangoes and potatoes. All of the products are in compliance with SPS requirements and the various country requirements where they do business. In fact, Roshan's handling standards were so high this year that it received the Mango Star Performance Award from the Federal Minister of the Department of Plant Protection, Mr. Sikandar Hayat Khan Bosan. Khalid added a hot water treatment plant to ensure its fruit would be accepted in European countries. “Roshan did a remarkable job this mango season with the overall adaptation of beneficial strategies,” said Khalid. “Improvements to the supply chain provided us quality product that complied with European Union protocols.” From time to time Roshan participated in different exhibitions for getting market knowledge, innovations and enhancement in services.